Bisphosphonate-Associated Osteonecrosis of the Jaw: Are We Dealing with a Localized Non-Traditional Calciphylaxis? The bisphosphonate (BP) family of drugs has been used as a vital component in cancer therapy and many other diseases. 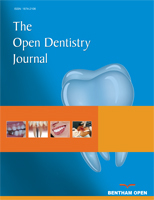 One of the main adverse effects related to (BP) is BP-associated osteonecrosis of the jaw (ONJ). Although this condition was first recognized in 2003, the pathophysiologic mechanism remains undefined. Our hypothesis is that ONJs clinical course and delayed wound healing is in part correlated to a localized non-traditional calciphylaxis. This effect is identified by the evidence of calcium deposition in the connective tissue and around small blood vessels in the soft tissues immediately adjacent to ONJ lesions. This phenomenon helps to fill gaps in the cascade of events which leads to soft tissue ischemia, necrosis, and non-healing ONJ lesions. Our finding adds to the current knowledge of the potential pathophysiologic mechanisms related to ONJ. Keywords: Bisphosphonate, bisphosphonate-associated osteonecrosis of the jaw, calciphylaxis, oncology, onj, therapeutic complications. © Meiller et al. ; Licensee Bentham Open. open-access license: This is an open access article licensed under the terms of the Creative Commons Attribution Non-Commercial License (http://creativecommons.org/ licenses/by-nc/3.0/) which permits unrestricted, non-commercial use, distribution and reproduction in any medium, provided the work is properly cited.